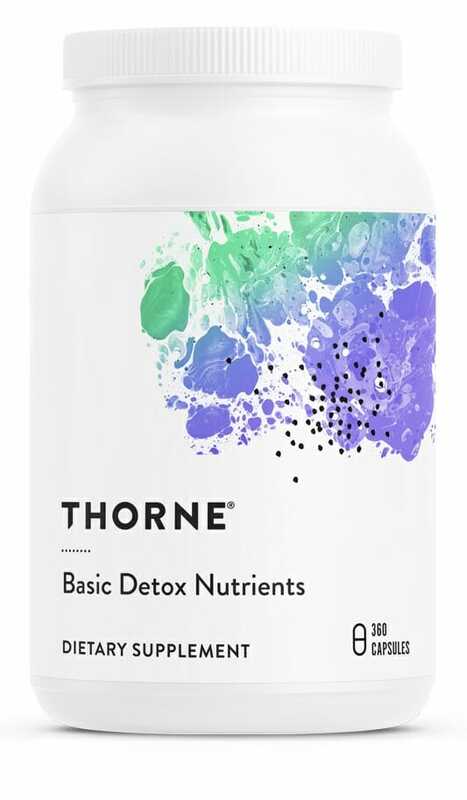 If you have been seeking a multivitamin which is specifically tailored to the support of natural detoxification mechanisms, look no further than Basic Detox Nutrients from Thorne Research! Contains n-acetylcysteine, milk thistle, curcumin, and more! 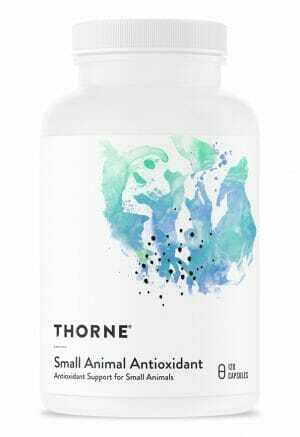 If you have been seeking a multivitamin which is specifically tailored to the support of natural detoxification mechanisms, look no further than Basic Detox Nutrients from Thorne Research! 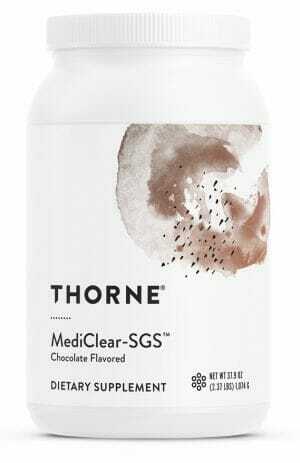 Contains natural detox support nutrients like n-acetylcysteine and milk thistle, as well as dietary minerals like magnesium which are often deficient in the body in the aftermath of a detox regimen. A powerful daily multivitamin which contains all of the basic essential vitamins and minerals, as well as nutrients for detoxification support. Contains antioxidants n-acetylcysteine, r-lipoic acid, curcumin, and more. Natural extracts of green tea and milk thistle have been shown to support liver health. Designed to help keep the body fully nourished and cleansed on a daily basis. There are a number of nutrients, many of them commonly missing from the average diet, which have been shown to support the body’s natural detoxification mechanisms. These include choline, n-acetylcysteine, MSM, and r-lipoic acid. Each of these provide variances of antioxidant support, and support of liver detoxification enzymes. In addition to these, there are a number of natural botanical extracts which are equally renowned for their potential for detox and antioxidant support. 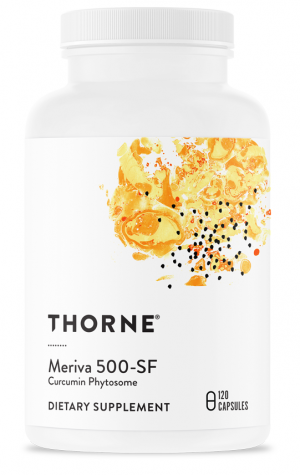 These include antioxidant-rich green tea extract, milk thistle – perhaps the most popular liver support ingredient, and curcumin extract from turmeric which is a potent antioxidant and anti-inflammatory support agent. Each of these botanicals are bound to phytosomes in patented natural ingredients (Greenselect®, Siliphos®, and Meriva®, respectively) which utilized advanced liposomal delivery. While detoxification is essential to the long-term health and wellness of the human body, upregulation in detox mechanisms can potentially have the negative side effect of contributing to nutrient deficiencies, particularly in dietary minerals which are often flushed from the body, alongside harmful heavy metals, via the urinary tract. Magnesium, a very important dietary mineral, is perhaps the most commonly affected by detoxification regimens. 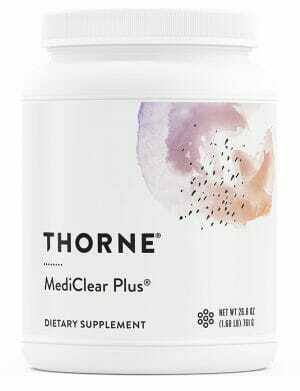 As such, Basic Detox Nutrients contains a potent 6 mg dose of highly bioavailable magnesium, alongside a number of other important dietary minerals. Caution: Iodine may occasionally cause an allergic reaction in some individuals. Other Ingredients: Hypromellose (derived from cellulose) capsule, Microcrystalline Cellulose, Calcium Laurate, Silicon Dioxide. *This product uses Albion’s TRAACS® Chromium Nicotinate Glycinate chelate. TRAACS is a registered trademark of Albion Laboratories International, Inc.
**This product uses GeroNova Research’s Bio-Enhanced® R-Lipoic Acid and Indena S.p.A.’s silybin phytosome (Siliphos®), curcumin phytosome (Meriva®), and green tea phytosome (Greenselect®). Bio-Enhanced is a registered trademark of GeroNova Research, Inc. and Siliphos, Meriva, and Greenselect are registered trademarks of Indena S.p.A.